The lawsuit filed by a gym member seeks class action status. LOGAN SQUARE — A member of Logan Square Fitness is suing the gym for cutting his membership short and failing to refund him after abruptly closing this winter. The lawsuit, filed May 8 in Cook County Circuit Court, seeks class-action status over what it claims is the gym’s “false and misleading” handling of customers leading up to and after the closure. Court records show the gym at 2734 N. Milwaukee Ave. owed its landlord, VPRE Holdings, more than $200,000 in unpaid rent. In December, a circuit court judge ordered an eviction, which was carried out in February. Several gym members were outraged, saying they were given no notice. Stephen Sanz, the plaintiff in the suit, signed up for an annual membership for $389 in June, according to the suit. The gym closed February 27, well before Sanz’s membership was up, which the suit alleges is a breach of contract. The suit also alleges the gym violated an Illinois fraud law by deceptively signing up customers like Sanz for annual memberships when closure was imminent. David Goldman, the owner of Logan Square Fitness, could not be reached Wednesday afternoon. Goldman did own Wicker Park Fitness and Southport Fitness, but he sold them off in April of 2017. Both gyms are no longer affiliated with Goldman, according to the new owner. It’s unclear exactly how many members were impacted, though Colin Cameron, one of the local attorneys representing Sanz, estimates a few hundred people are in a similar situation, which is the reason for the class-action status. Cameron, who runs the law firm Cameron and Kane, LLC, with his partner, Scott Kane, said fairness is the motivating factor behind the suit. “It’s important that our local businesses honor the agreements that they enter into. There’s a lot of people who paid for services they didn’t receive. It’s important these people are compensated,” he said. Kane agreed, saying while this kind of practice happens everywhere, it won’t stand in Logan Square. “Not in our neighborhood,” Kane emphasized. Sanz is seeking a refund for gym use beyond Feb. 27, as well as punitive damages and attorney’s fees. Gym members whose contracts were up after Feb. 27 are eligible to benefit. A court hearing is expected to be held sometime within the next month. 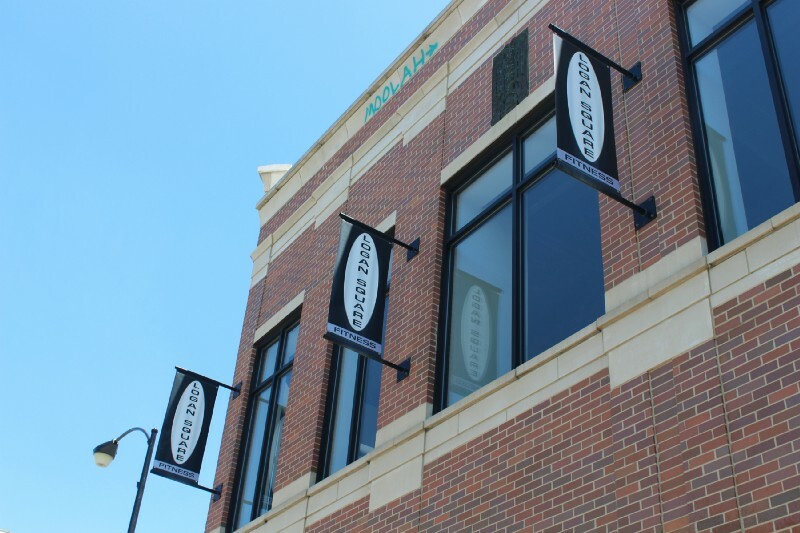 The Logan Square Fitness banners are still up, as of Wednesday.